Curating the Future: Museums, Communities and Climate Change explores the way museums tackle the broad global issue of climate change. It explores the power of real objects and collections to stir hearts and minds, to engage communities affected by change. Museums work through exhibitions, events, and specific collection projects to reach different communities in different ways. The book emphasises the moral responsibilities of museums to address climate change, not just by communicating science but also by enabling people already affected by changes to find their own ways of living with global warming. There are museums of natural history, of art and of social history. The focus of this book is the museum communities, like those in the Pacific, who have to find new ways to express their culture in a new place. The book considers how collections in museums might help future generations stay in touch with their culture, even where they have left their place. It asks what should the people of the present be collecting for museums in a climate-changed future? The book is rich with practical museum experience and detailed projects, as well as critical and philosophical analyses about where a museum can intervene to speak to this great conundrum of our times. 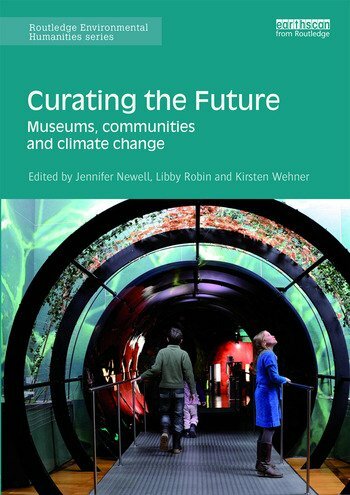 Curating the Future is essential reading for all those working in museums and grappling with how to talk about climate change. It also has academic applications in courses of museology and museum studies, cultural studies, heritage studies, digital humanities, design, anthropology, and environmental humanities. Jennifer Newell is the curator of Pacific Ethnography at the American Museum of Natural History, New York, USA. She teaches Museum Anthropology at Columbia University, USA, and convenes the Museums and Climate Change Network. She has partnerships with museums in the Pacific, including in Samoa and Fiji, and is a former curator at the British Museum. Libby Robin works across the university and museum sectors in Australia, Sweden and Germany. She is Professor of Environment and Society at the Australian National University, research affiliate at the National Museum of Australia, affiliated professor at the Royal Institute of Technology, Stockholm, Sweden, and Board Member, Rachel Carson Center, LMU, Munich, Germany. Kirsten Wehner is Head Curator of the People and the Environment program at the National Museum of Australia. She is a member of the Humanities for the Environment Australia-Pacific Observatory and a professional associate of the Centre for Creative and Cultural Research at the University of Canberra, Australia.